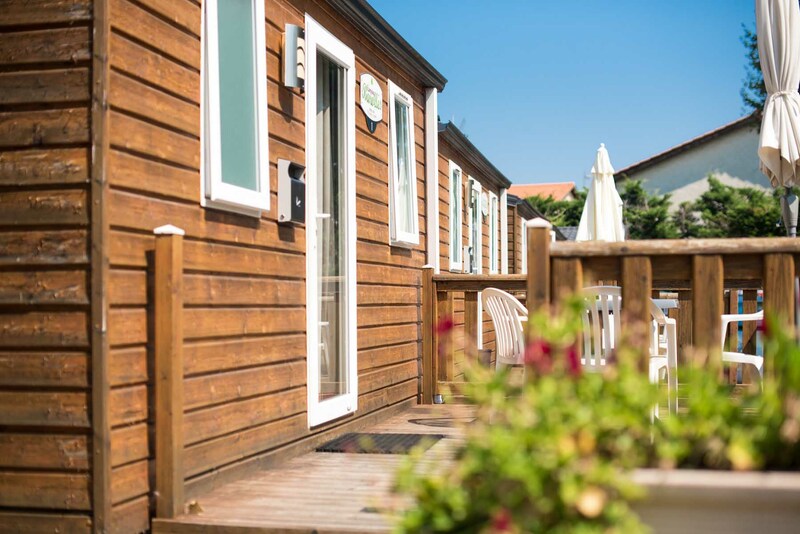 Camping des Barolles has a rental fleet of modern bungalowes designed with respect for the environment. 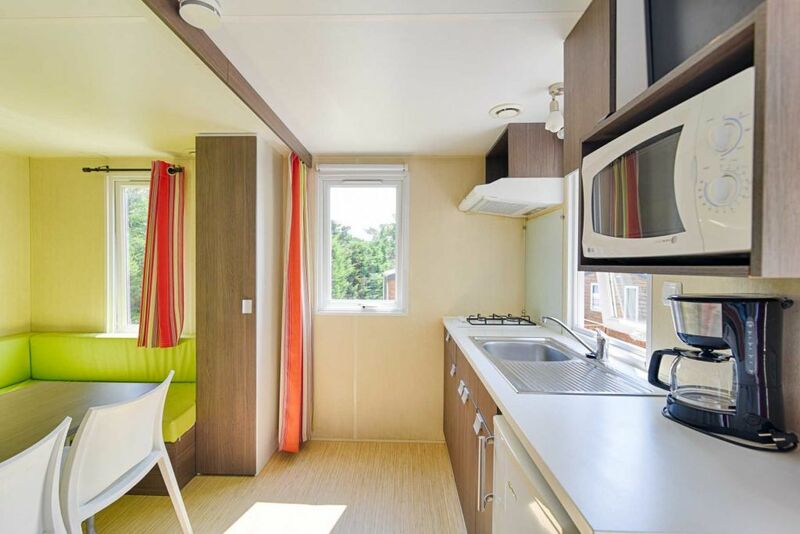 With a total dimension of 22m² adapted to 4 people maximum, they are all composed of a main room with corner cooks equipped (gas cooker, fridge …), of a bathroom with toilets and cabin shower and of a bedroom. Outside you can enjoy a terrace of 12m² with garden furniture and a parking space. 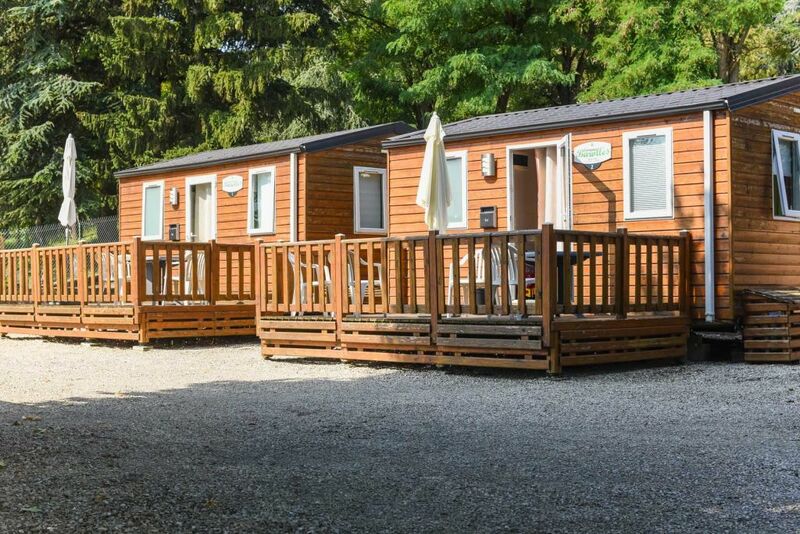 Be careful these mobile homes are not accessible to disabled people. The interior of the room is flexible. Depending on your wishes, the room can be equipped with 1 double bed or 2 single beds.